So when JORD watches asked if I would love another watch, as the low key extra wife that I am, I asked if I could have a masculine one for Tee instead! Because he really liked my wood watch (see detailed review here) and I had considered getting him one as a gift. He's very into watches and had loads when we started dating! Somehow the number of his watches just seemed to reduce with time. (I tease him that more responsibilities pushes watches lower the priority scale). He also had a watch listed on his 2016 Christmas wish list. Anyway, JORD very kindly agreed that I could have a masculine one. Whoop! And they asked Tee to send his top 5 choices from their men's collection. Rather interestingly, (and unlike me) he knew exactly what he wanted. While I took ages to decide from their women's shop (as I wanted everything! ), he couldn't even make a top 5 list. It's pretty much the same way I take forever to order a meal, he orders straight up and I still prefer his choice of food. So, although he wanted a chronograph watch, the available ones seemed to have a smaller face which he wasn't a huge fan of. His obvious choice was therefore the Hyde Series - Stacked Sandal Wood of Olive With Ivory. We also sent through his wrist size - 19cm. He was actually pretty excited and considered it a worthy gift for often helping with proofreading my blog posts. Again the watch arrived in a couple of weeks, but just like in my case, there was a customs charge of £15 payable on it - as it was shipped from the US. We also realised that it hadn't actually been sized as well, so I got this done at our local jeweller for just £5. JORD very kindly refunded the £20. The watch arrived in the wooden box, with the cleaning fabrics, polisher and a manual. We both really liked the simple time face, the fact that it showed the date, and was dark brown. Again just like mine, it's made of natural wood but it's surprisingly super light! I've already listed all the reasons I love JORD in my initial review and that hasn't changed. I've had mine for about 6 months now, and pretty much wear it everyday. So we're confident that for Tee, it's going to be the same, accompany him everywhere and has already quite made it to the list of his favourite things. So yes, I'm looking forward to us wearing our JORD watches often and using the hashtag #Twinning. Haha! JORD is giving away $100 voucher to one lucky person. If you'd love a JORD watch for yourself or as a gift to someone special then you should totally enter. But be mindful that you will have to pay up the balance. That said watches start from $139 so that's a very generous discount! Asides this one lucky winner, everyone gets $25 off their purchase. There's free worldwide delivery and for that personal touch, JORD is able to offer engraved messages. They could also adjust the wrist to you desired size for only $10. The giveaway ends on October the 15th at 11:59pm. Both the $100 and the $25 codes will expire on 12/31/2017. What are your thoughts on couple twinning? Are you more or likely to be high key extra or low key extra on this and in your relationship? 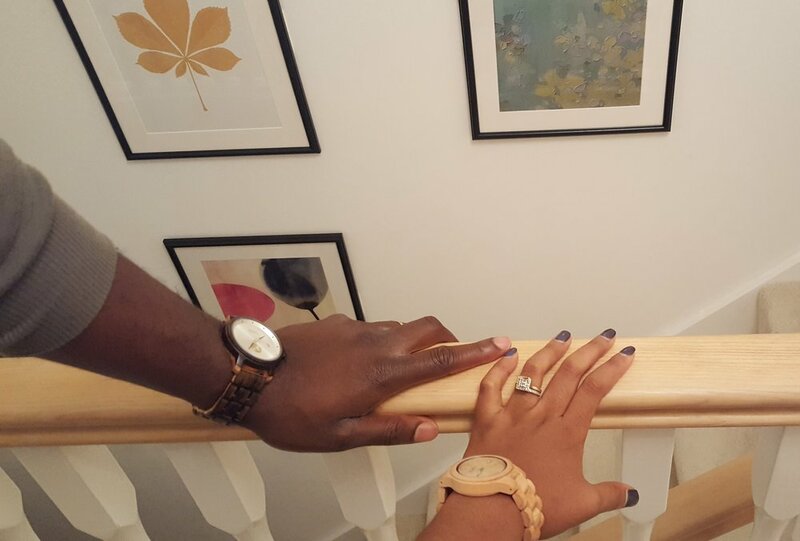 pS: Is it just me that thinks it's funny how our watch matches our complexion? Dark brown for him and light for me? 3 Years Married and a Fun Husband Tag! 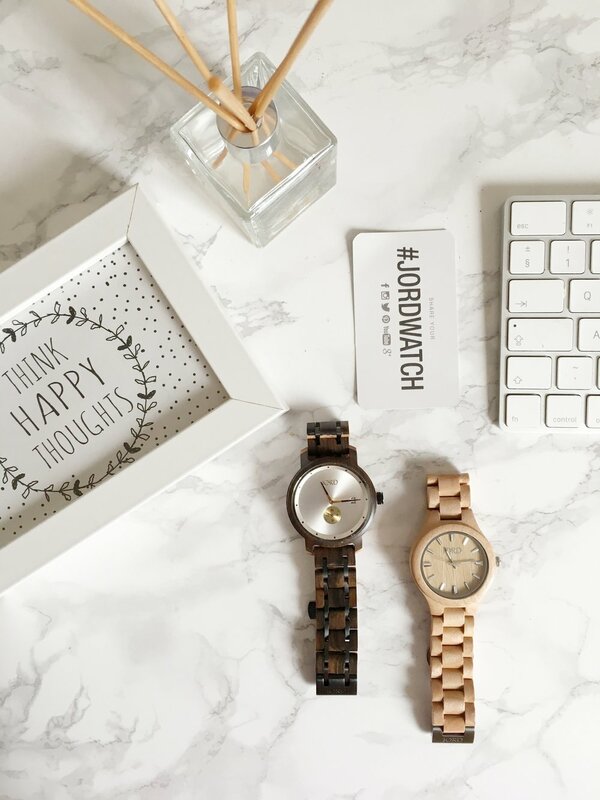 May 18 JORD Wood Watches - A Review & a Giveaway! Jul 30 3 Years Married + A Fun Husband Tag!